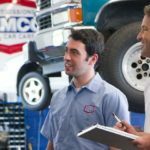 To remain a vital, competitive and relevant brand, AAMCO has devised a strategy to Win Online — from the first time a consumer types in a Google search for “auto repair” in their local area to after their car has been repaired and they leave their local AAMCO franchise an online review. The Internet has helped make clear to consumers what AAMCO has always known: every step of the customer experience matters. Be available: Every AAMCO franchise has a website that is accessible, easy-to-understand and explains our service offering in detail. New customers can click to request a quote, get directions and find coupons. Be relevant: Every AAMCO website is optimized with SEO keywords to ensure that our franchise owners are easily found by consumers searching for auto repair. 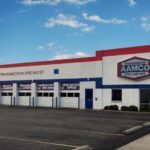 If there is an AAMCO center in the area and customers search for “auto maintenance,” “auto repair” or any number of relevant phrases, the local AAMCO franchise will be one of the first, if not the first, businesses to come up. Be trustworthy: AAMCO made a significant investment to partner with Reputation.com to control and monitor the level of customer feedback online. AAMCO franchisees are outfitted with a kiosk to allow customers to give feedback. If the feedback is positive, it is published online. If the feedback isn’t good, it never makes it out to the customer review web sites but stays on our internal dashboard so that our franchise owners have deeper insight into how they can improve their customer service. To provide our customers with more options, AAMCO is in the process of rolling out a national consumer financing platform. By simply filling out information on a website or through a kiosk found in an AAMCO center lobby, customers with good credit, bad credit or no credit are able to find a solution that suits their budgets. AAMCO now has the tools to deliver a financing option that meets their needs and eases the financial burden of a major purchase. “We are pleased that we have put together a pretty compelling, easy-to-execute financing program that allows our franchise owners to close more sales and provide better service and support to their customer base,” Brett says. 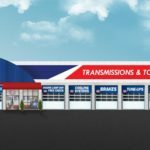 At around $2,500 for a single transmission rebuild, transmission repair remains one of the most expensive maintenance repair jobs a vehicle owner can expect to pay for in the lifetime of a vehicle. By offering both a strategy to combat the sticker shock and a way to ease the burden of payment, AAMCO’s new consumer financing platform has enjoyed success right out of the gate.